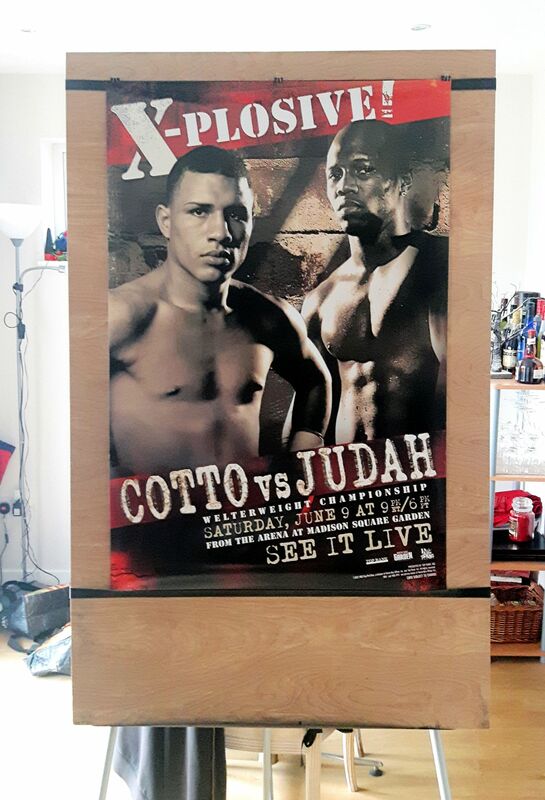 Description : Here we have an original full-size official HBO closed circuit boxing fight poster for the WBA World Welterweight Championship title bout held at Madison Square Garden, New York, United States, 9th June 2007. The fight got lively early when in the first round, Cotto landed a low blow that put Judah to the canvas. Referee Arthur Mercante, Jr. offered a stern warning to Cotto. 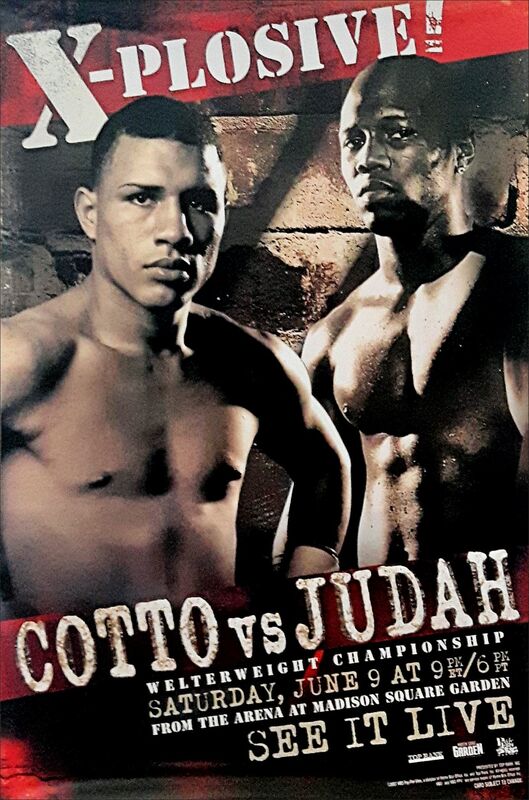 In the third round, Judah took yet another low blow from Cotto, which resulted in Cotto receiving a point deduction. Miguel Cotto and Zab Judah were delivering an all-action tear-up, Cotto, after weathering some difficult early rounds as he figured out Judah's southpaw style and adjusted to his speed, Cotto took over the bout. In round seven, both fighters went toe 2 toe and in the 8th round he hurt Judah numerous times. In round nine, Judah took a knee to gain a breather from Cotto's non-stop onslaught. By the 10th round, Judah was bleeding from a cut over his right eye and was hurt by an uppercut from Cotto that sent him retreating to the ropes, but Judah remained just about upright. 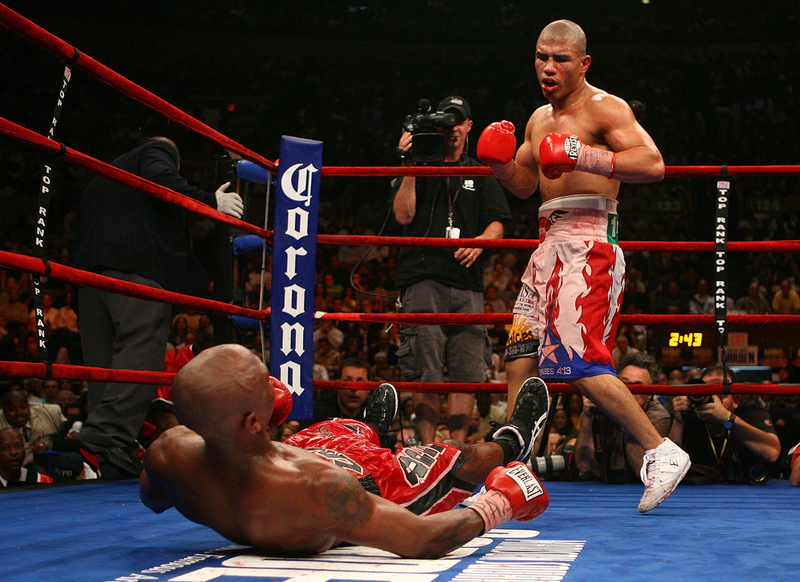 Early in the 11th round, Cotto landed a combination that dropped Judah to the canvas. He managed to get to his feet, but Cotto went after Judah full throttle, turning him sideways along the ropes, he continued to pound on a demoralized Judah. That forced the referee to step in & stop the hammering. Postage: £10.00 Special Delivery...£20.00 International registered signed 4 airmail. Condition : Excellent / minor handling*surface*edgewear.